Review the latest articles dedicated to “Interviews” category written by HTSACC editorial team. Learn more about starting clothing company with famous experts! Do it if it’s something that you love. Don’t get into it for the money; don’t try to make a quick buck. I know this sounds cliche, but it’s really not work if you’re having fun doing it. Also, start small. You can always build. 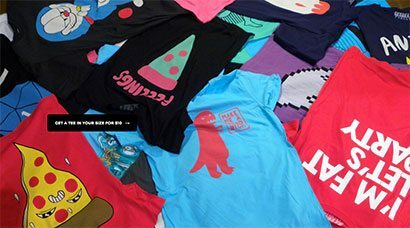 David Murray, owner of SEIBEI ( pronounced say-bay) answers some questions about starting a clothing company. "Bring something unique to the table, try something new, and decide what's important to you and what you want out of it. Be prepared to not make money for a while. Don't blow a bunch of money on needless vanity (specialized packaging, hang tags, labels, etc) straight out the gate." Licensed Super Heroes: Interview with Jack of All Trades. I had the opportunity to interview Allan Goldberg who is the president of Jack of All Trades. They have a ton of superhero and band shirts that are really well designed and stand out above the rest. 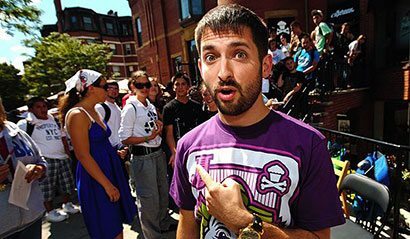 Johnny Cupcakes give a lecture in Chicago about his clothing company. Over the past few months I’ve been fortunate enough for the opportunity to have some lengthy discussions about the t-shirt industry and get to know one of today’s top and one of my favorite designers. Chow Hon Lam (aka Flying Mouse) is revered in the t-shirt design world and you’ve no doubt seen his awesome work all over the internet. In the past he has been awarded newcomer of the year and most printed artist on Threadless, has took up the recent challenge of creating a new design everyday and now is branching out with his own clothing line. I was very pleased to be able to interview the seriously cool and visionary dude behind Glamour Kills, Mark Capicotto. He has done amazing things with his brand and the success he is now enjoying should ignite the spirit and desire in all fledgling tshirt designers and fashion entrepreneurs! It can be achieved! Glamour Kills have just put out their summer line and it is immense! So enjoy the interview below and have a look at just a very select cross-s3ection of the new threads available!